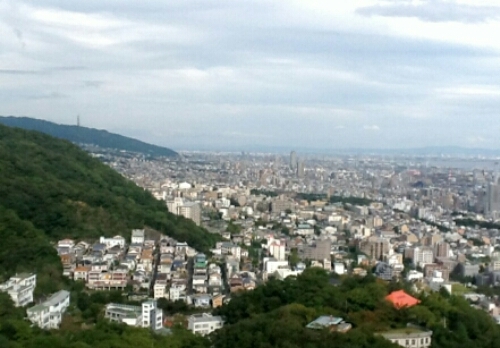 Japanese mountains are steep, covered with thick forest. Hard to build roads through. To get to the top of the mountain, for whatever reason, many places opt for ropeways and cable cars. In no other country have I taken as many ropeways as in Japan. 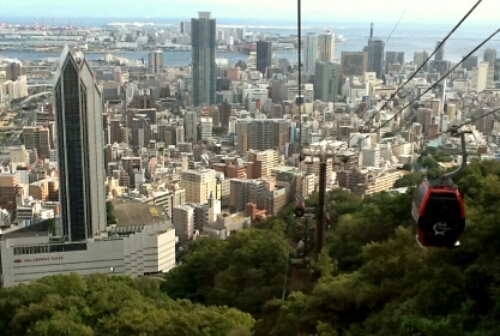 My first time was in Kobe, a ropeway was said to give a great view of Kobe and Osaka Bay. 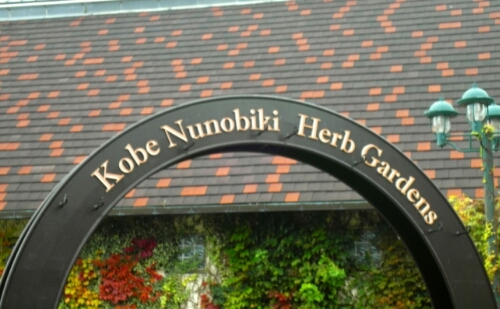 We had been in Kitano, a district of Kobe with a certain Western feel to it, the district foreign merchants used to live in after the country opened up at the end of the 19th century. 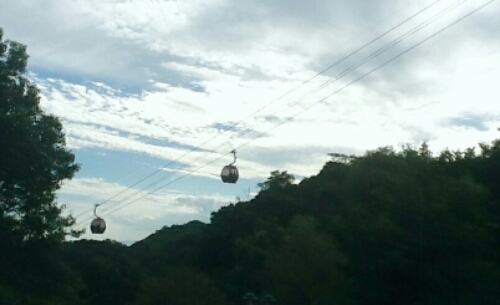 The ropeway was not far away. The Kobe Ropeway departed not far from Shin-Kobe Station, the shinkansen station in Kobe, just at the foot of the mountain. To get there we walked through the city, concrete buildings, neon, traffic. As soon as the ropeway started moving we were travelling over dense forest. The whole mountainside covered in it. 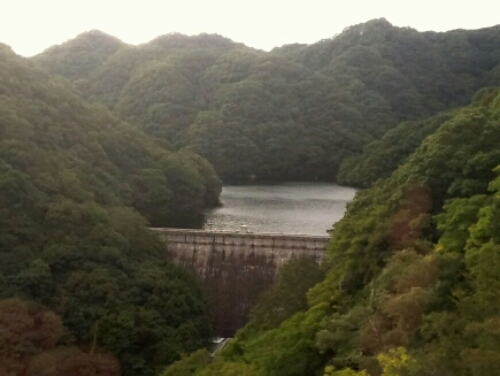 Then a dam could be seen in the distance, holding up a huge body of water behind it. The ride up was beautiful. 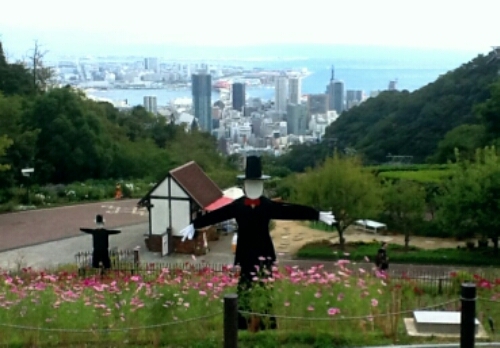 Not only a great view of the forest, soon also a spectacular view of Kobe and The Bay. As we climbed higher and higher the view got better and better. As we reached the end of the first ropeway, a second ropeway was ready to take us even further up. 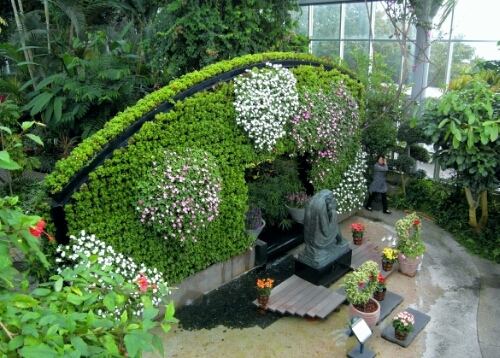 A huge garden had been planted on the mountain, the second ropeway took us from the bottom to the top of the garden. Next to where the two ropeways met lay a small café. We went in, ordered a beer each from the vending machine and took it to the counter. We were quickly served our beers. We found a table by the window, with a view of the city, and sat down. We had been walking far that day, it was nice to sit down, relax. We took a long time drinking our beers. Not only could we see the city of Kobe from where we were, it was a clear day and we could see almost all of Osaka Bay, city after city lining its shore. The cities here lay as close together as they could, sometimes it could be impossible to see the city borders, they ran along a normal looking street. All around the bay they lay, with Osaka in the middle. 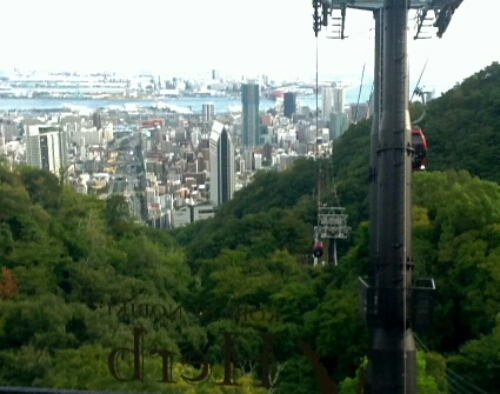 Eventually we finished our beers, left the café and took the Kobe Ropeway down to the city. It had been a nice trip up the mountain, a great view, and relaxing to get away from the busy city streets for a while. As we got to the bottom we headed back to Kitano for lunch.